Richard Reese is a partner in the San Diego office. His practice is focused primarily on litigation, including premises liability, catastrophic injury, insurance coverage, public entity, and business/corporate matters. Mr. Reese often represents commercial and residential developers and contractors in construction-related litigation. He also assists businesses and individuals with contract negotiation, compliance, and insurance coverage issues. 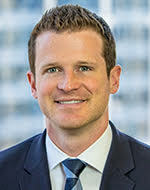 Mr. Reese received his Juris Doctorate from the University of San Diego School of Law (2010), where he was a member of the Phi Delta Phi International Legal Honor Society. He earned a B.S. in Finance from San Diego State University (2007). Mr. Reese is admitted to the State Bar of California and the U.S. District Courts for the Southern and Eastern Districts of California.